Lock in a great price for Boutique Hotel Hugo – rated 9.4 by recent guests! 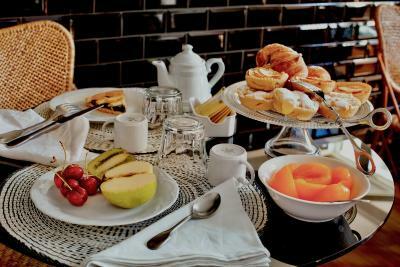 Good Breakfast, clean and comfortable modern hotel. Staff was very friendly and helpful. Close to train station and major sites. Breakfast was good. The room, bed, and bathroom were perfect. This is an excellent small B&B. I had a large clean, quiet, comfortable room (#6 sleeps three) with very friendly and helpful staff and a decent (by Italian standards) breakfast. If this is what I had expected, I would have given a higher score. See below for the rest of the story. The staff was amazing. We were greeted and helped with our luggage up the stairs. Every day we were greeted by the sweetest staff members. The breakfast was great and the staff was willing to do anything you needed help with. the hotel was very nice! clean and modern amenities! the shower had wonderful water pressure and great water pressure. it was close to the accademia gallery and walking distance to the heart of florence. the staff was very friendly and went out of their way to take care of you. the continental breakfast was good too! Staff are very warm and welcoming. Rocco was great and made my stay at Hugo a wonderful experience. They took care of all the important details... chocolates on your pillow, water in the mini-fridge, great breakfast, the place is beautifully kept and impeccably clean. Definitely will go back and definitely will recommend to my fiends and family. Special thanks to Jenny for her kindness at breakfast and the delicious americanos she prepared for me! The property was very clean and had little pleasant surprises for guests like cookies and chocolates on the bed. Breakfast was very good and service was excellent. The room was modern and very comfortable. The staff exceptionally helpful and friendly. 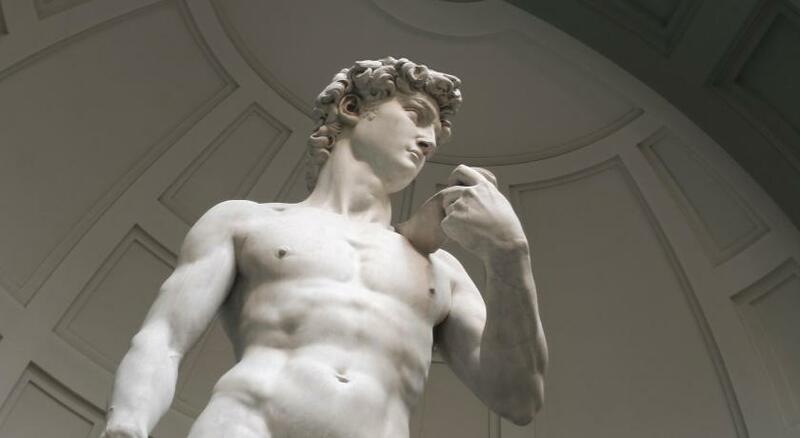 Only a 10 minute walk to the Duomo and 5 minutes to the museum with the statue of David. Boutique Hotel Hugo This rating is a reflection of how the property compares to the industry standard when it comes to price, facilities and services available. It's based on a self-evaluation by the property. Use this rating to help choose your stay! One of our top picks in Florence.Boutique Hotel Hugo is located in the heart of central Florence. 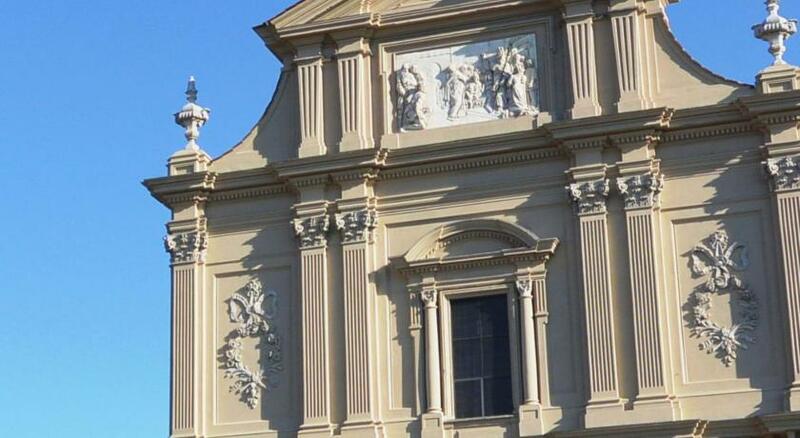 Only 650 feet from Piazza San Marco. Free WiFi is available throughout the property. The property is set on the second floor without elevator. All air-conditioned, rooms have a work desk and a private bathroom. The Hotel Hugo is perfectly linked with public transport. 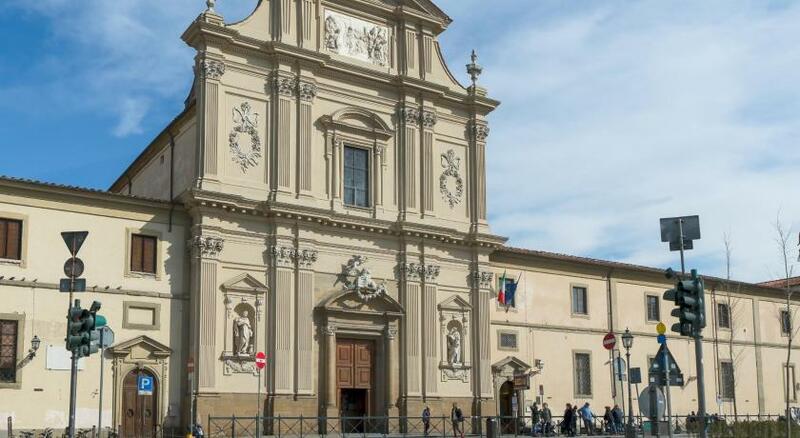 Santa Maria Novella Train Station is just a 15-minute walk away, while the well-known David of Michelangelo can be found at 1,650 feet from the property. When would you like to stay at Boutique Hotel Hugo? Features a private bathroom with shower and a work desk. Hotel surroundings – This neighborhood is a great choice for travelers interested in cathedrals, city walks and museums – Check location Excellent location – show map Guests loved walking around the neighborhood! House Rules Boutique Hotel Hugo takes special requests – add in the next step! Boutique Hotel Hugo accepts these cards and reserves the right to temporarily hold an amount prior to arrival. Please note that the property is in a restricted traffic area. Please inform Boutique Hotel Hugo of your expected arrival time in advance. You can use the Special Requests box when booking, or contact the property directly using the contact details in your confirmation. No elevator. Several flights of stairs to door, but still a great hotel. The room was very clean, the breakfast and the coffee was delicious. Very nice hotel (a floor of a building in a very centric location). Good breakfast, clean room. Staff lovely, room spotlessly clean, great bathroom. Mini fridge in room. Felt very safe here as a lone female, good breakfast, generous check out time, ideal location. The room was quite small although this was not a problem for me as I was travelling on my own and with very small luggage. The sink did not drain very well. 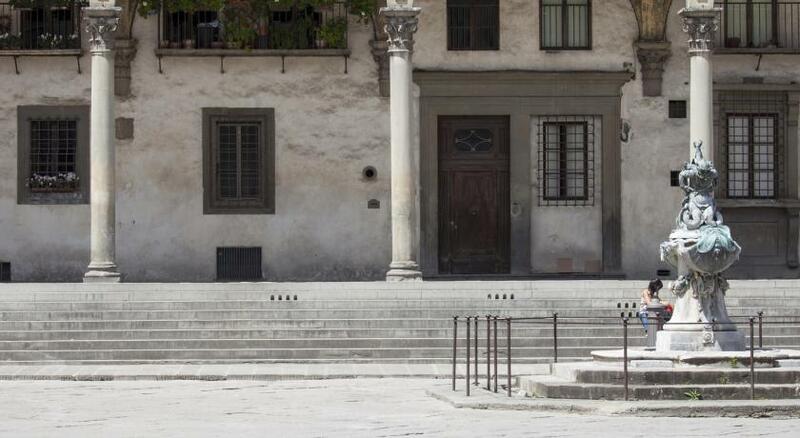 The hotel is very modern and is located just 10 min away walking from the Duomo! My room was very clean and had a lovely balcony! The bed was very confortable! Clean room and good service. Breakfast is really delicious. The bathroom has some problems. The stairs. It should be advised on property’s details. However, this is *not* a hotel, and I see this property as part of a trend where that word is included in the name of the establishment but seems inappropriate to me. This property is located on the third floor (second floor European) of a building with no elevator and more than 50 steps up to the door. You can ONLY check in between 14:00 and 20:00 so if you arrive earlier, you can must drop your bags and come back later to get your room. The door is always locked and you must enter a code to enter or buzz the staff (if they are there). There is a breakfast room with six small tables, but no lobby to meet people in or lounge to enjoy in the evening. There is no food available besides breakfast, although fruit may be handy. The description in booking.com said there was a minibar in the room, this was not true for me. There is a refrigerator available but mine was empty. There are no restaurants in the immediate vicinity, which makes for a quieter evening, but less available sustenance.